As the temperature keeps bobbing up & down, shifting from early November to March to late October and late February, you just know a cold will find a hole in the teflon of one’s immune system and exploit that weakness, maybe with a vengeance. The bug hasn’t hit full-on, but it’s been dizzying finishing up on a trio of related items scattered across a few sites while waiting for the miracle of oil of oregano and other concoctions do their thing. 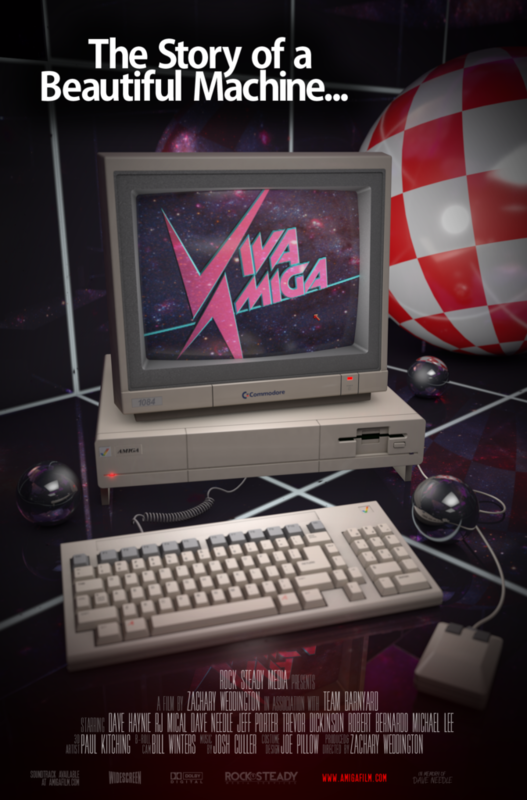 First off is a review of Zach Weddington’s Viva Amiga (2017), a concise documentary on the Amiga PC, which is rightly regarded with nostalgia and awe for being a pioneering example of the modern day multimedia computer. Its artist-friendly design no doubt influenced Apple’s decision to transform its Mac from a small monochrome machine into a powerhouse interface friendly towards photography, digital art, music, and video editing. The Amiga offered gaming, music, and video software, and a lead in video realm was NewTek’s Video Toaster, which burst onto the scene in late 1990 and offered a lot of power for under $5,000. NewTek produced an award-winning demo video called Revolution, which it later updated the following year and made the roughly 18 min. 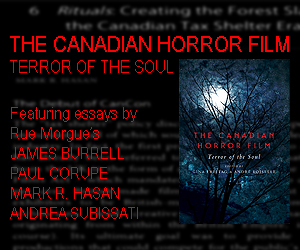 teaser available as a free VHS mailer to prospective buyers. I didn’t buy an Amiga – I had invested in a different type of post-production setup – but in my blog at Big Head Amusements I detail my fleeting encounter and use of the VT. 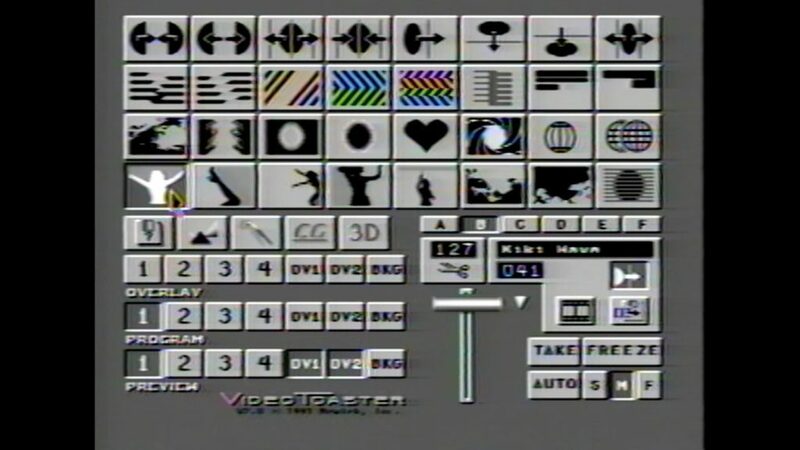 Titled (Mis)Adventures in Video, Part I provides an overview of the Film Production Program at York University, circa 1987-1991, and Part II continues with further info on the looming brush with the Amiga and VT.
Frame grab from Revolution that shows the Video Toaster’s live switcher and assortment of wipes. 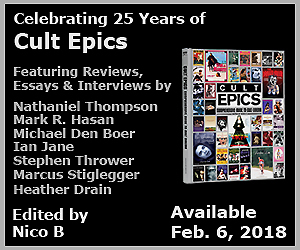 I’ll get into those encounters properly in Part III (and more misadventures in subsequent entries), but both Parts feature some facts, some nostalgia, and portents of things to come, with Part II punctuated with links to the Revolution demo I digitized and posted on Vimeo and YouTube. My review of Viva Amiga covers not only the film (available from Vimeo on Demand), but the massive extras available for free from Vimeo, and one lengthy uncut interview that’s worth the extra $3. If you’re a fan of early video software and iconic gear, the doc offers a great overview, but it’s the extras that deepen the snapshot of a young industry with candid, frank, and outrageous anecdotes of brilliant & eccentric engineers and some truly terrible executives. Weddington’s interviews preserve an important chunk of popular technology that could’ve slipped into oblivion, reinforcing the pop culture view of Steve Jobs being the only true visionary of his era. A visionary helps guide the magic, but the magic comes from the many hard working minds who themselves refused to settle for adequate. Coming soon are reviews of Woody Allen’s Alice (1990) and Manhattan Murder Mystery (1993) from Twilight Time on Blu, and a podcast interview with Canadian photographer André Vittorio, whose striking work is currently showcased at the Urban Gallery until April 28, 2018. Hopefully my voice won’t sound like sandpaper by the time I record the intro & outro.